A New Era of SEO starts NOW! Social Signals have emerged as the new SEO and have never been more important than they are today. Some of the most popular online websites have something in common today − they all have Social Signals. Without Social Signals, many sites find themselves falling way behind. Since social shares have now become more related to ranking, your site needs Social Signals more than ever before − to rank as high in the search engine as possible. Why do you need Social Signals? If your site is stuck low on search engine rankings and you need to get it right up to that coveted #1 spot, look for us! We can help you enhance your Social Signals to boost you to the top spot in search engine rankings. We assure you that the positive effect of Social Signals is exactly what you need to propel your business upwards. Don’t believe us? Check out every well-ranked site across industries − you will find Social Signals from Facebook, Twitter, Pinterest, LinkedIn, Reddit, Mix and every other social media network out there. Select the Market Leader for Social Media! Only the best quality is just good enough for you? Pick the market leader Blackhatlinks.com as your Social Media service provider! We successfully delivered 41,998 Social Signals orders. Good News: Social Signals will never ever raise a google penalty ! Social Signals are the perfect way to rank your website without having to fear a google penalty. No matter how many Social Signals you order to your website, they will never raise a penalty. We provide Social Signals with exclusive features which none of our competitors can! Only we can offer an unlimited URL option for Social Signals. Submit as many URLs per order as you like ! Only we can offer a custom package! Design your personal Social Signal package to your very custom needs. 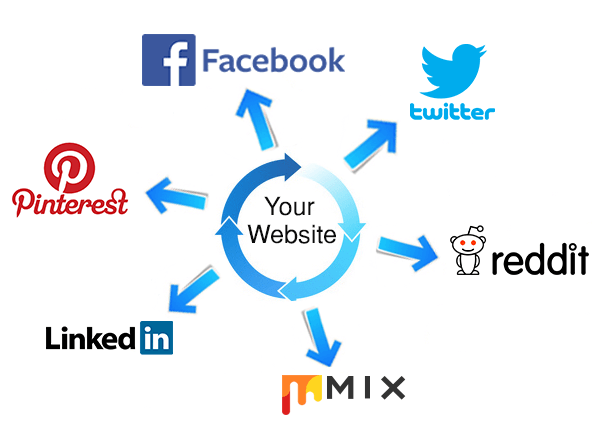 We submit all Social Signal URLs to Speed-Links.net to get the Social Signals indexed. Only we can offer a modifiable Drip Feed. Set the Drip Feed between 1 and 28 days for every custom package. We are into SEO business since 2011 with over 70,000 Orders completed. We know our business. Daily report with shares/URLs. 100% tracking guaranteed.  100% Google Penalty Safe ! We guarantee that our Social Signals will never ever raise a penalty on your website! Prefer quality over quantity and go with the market leader! We offer the best Social Signal Service worldwide! See our exclusive features above! Remember, Google isn’t only looking for link building and SEO anymore − Social Signals are just what you need to raise to the top! Backlinks have been and always will be a very good option to rank sites. But as Google continuous change the algorithm and release updates Social Signals are the best way to go. What are you waiting for? Outrank your competitors with our Social Signals! Order now and raise your Social Share count! The chart shows the most relevant ranking factors. That's the proof for the importance of Social Signals. 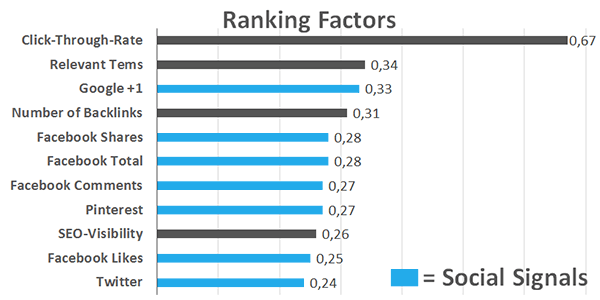 The "Top 11" ranking factors contain 7 Social Media Factors ! It is so obvious now that you strongly need Social Shares! We provide a daily reporting of your chosen Social Signal package. You find all live URLs for all Social Signals we generate for you. This is a special service of Blackhatlinks. No other Social Signals provider can offer that! Still not convinced? 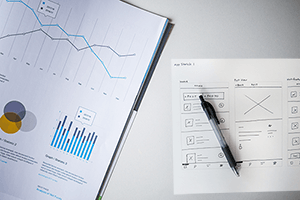 Take a look at the example report. How many Social Signals do you have? Your Social Signals are created with a Drip Feed of 30 days. This is a recurring package. You won't need to worry about your Social Signals again. We create Social Signals every month until you cancel the Subscription. You URL get shared with Facebook posts. Your URL get shared with Twitter tweets. Your URL get shares with LinkedIn.com status updates. 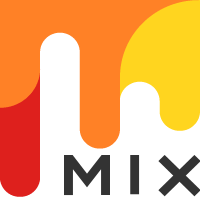 Your URL get shared on Mix.com. Your URL get shared on Pinterest.com with image Pins. Your URL get shared on Reddit.com with a link submit. Your Social Signals are placed over a time period of 30 days. You can hand in as many URLs as you like. Your Social Signals are created with the package of your choice. This is not a recurring package. Your Social Signals are placed immediately and all at once. You can add only 1 URL for this package. Your Social Signals are placed over a time period of 5 days. Your Social Signals are placed over a time period of 7 days. Your Social Signals are placed over a time period of 10 days. Create your own Custom Social Signal Package according to your needs. This is not a recurring package. Buy a certain amount of Social Signals to get free Signals on top! Your Social Signals are placed over a time period of X days. We are running Blackhatlinks.com for over 8 years now. By now we handled 172,183 orders from what 41,998 were Social Signals orders. No unnecessary bindings of clients with long-term contracts - You have full control. Easily pay with PayPal / Payoneer / Skrill / Bitcoin. Order gets started immediately. You get access to detailed reporting so you can easily track your progress. Very easy order process. Is this Social Signal Service safe (google penalties etc.)? Yes, there is absolutely no chance of getting your website penalized. A google penalty for Social Signals does not exist. Will Social Signals improve my rankings? Yes, Social Signals will help to improve your rankings with all search engines. If you are running a backlinks campaign you can use the Social Signals to justify your link building process. Yes, we send you a link to track your Social Signals. The Social Signal reporting include all Social Signal shares including the URL of each share! How many sites can I submit? You can submit unlimited URLs for larger packages. Can I stop or change Social Signals anytime? What sites are compatible to Social Signals? You can use any sites for Social Signals. Not matter if money site, Web 2.0, Private Blog Network (PBN), Articles, YouTube Videos, Bookmarks, Wikis etc.. You can use any URL. I have an adult/warez/illegal/pills/casino etc. website. Do you accept these sites? Unfortunately not! It would go against the terms of most Social Media sites like Twitter, Facebook, Pinterest, LinkedIn, Mix, Reddit etc..To ensure quality Social Signals for all customers we deny any offensive websites. Drip feed means that the Social Signals not created all at once but spread over time. If you order 300 Social Signals with 30 days Drip Feed we create 10 Social Signals a day instead of 300 in one day. How much time do you need to start the order after purchase? We immediately start your order on the same day. Do you offer discounts for bulk customers? Do I need to add Social Share Buttons to my website? Do you offer an Affiliate system? Yes. We pay up to 40% on all sales you refer to Blackhatlinks.com. Get more information here.